Thankfully (for me) it was decided to have another shawl knit-a-long picking one of the many shawls from a whole range by Boo Knits this was a task in itself as they are all so lovely...but I settled on Quite Continental. Next task was to pick out some suitable yarn, which was cause for hours of yarn browsing....which was becoming a little stressful in the end...but someone had to do it! Finally, after spotting another person in the Crafts from the Cwtch group's suggestion, I took a look at six skeins which proved to be a very happy discovery. A few clicks, a day's wait and a lovely squishy parcel arrived in my post box. Wound and ready to go....it's beautifully soft, you can just see the glisten....perfect. And small beginnings.....the first hour of attempting to begin was fraught...lots of breath holding....but I got there once I had realised I was being totally blonde....hopefully onward and upward from here! Awesome yarn choice - it's going to look beautiful. Wow... Beautiful choice and lovely yarn. That's a lovely yarn you chose. Pink and sparkly, perfect. Love the yarn ! 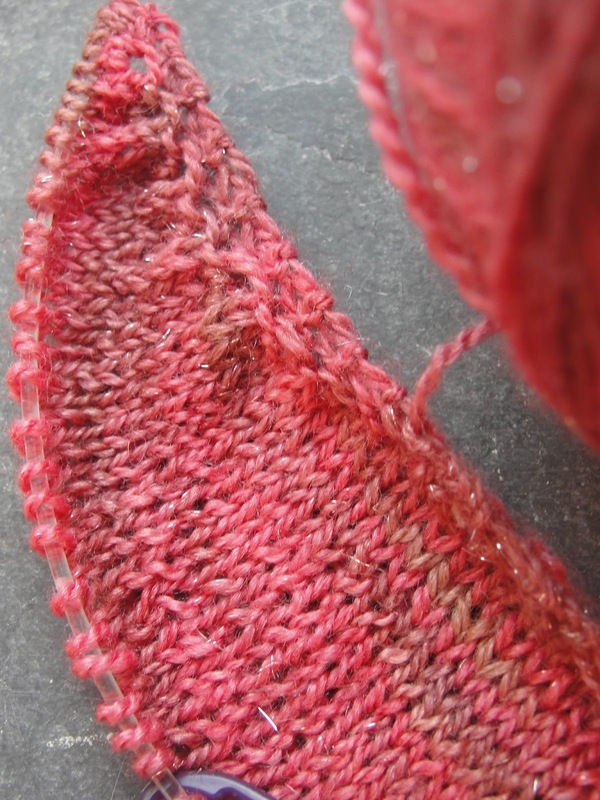 I'm also doing Quite Continental so it's going to be great looking at the same pattern but in a different colourway. 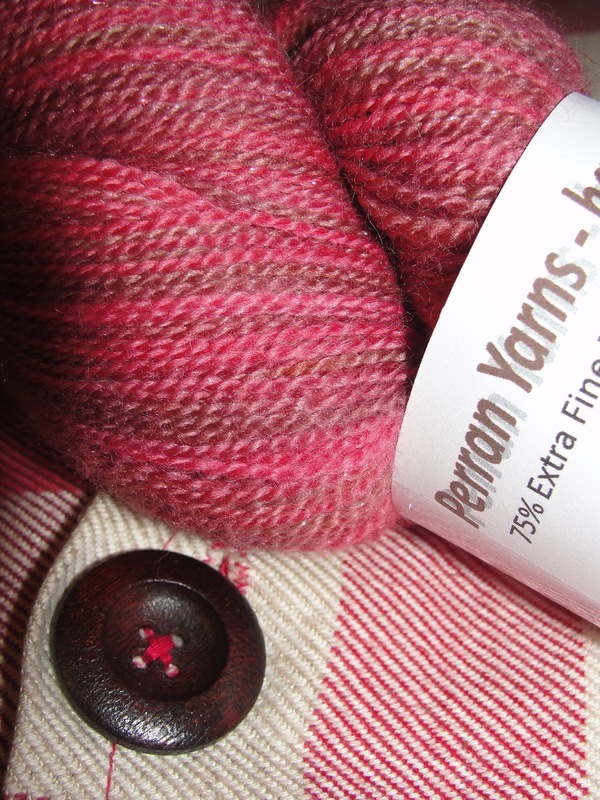 I'm off to check out that yarn some more as I've my eye on some more shawl patterns. Sorry I'm so late checking in with you. Ooo. That yarn is just delicious!!!! 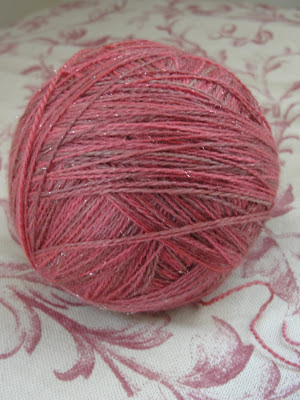 Super pretty yarn. Love that little sparkle! ooh, yummy yarn! 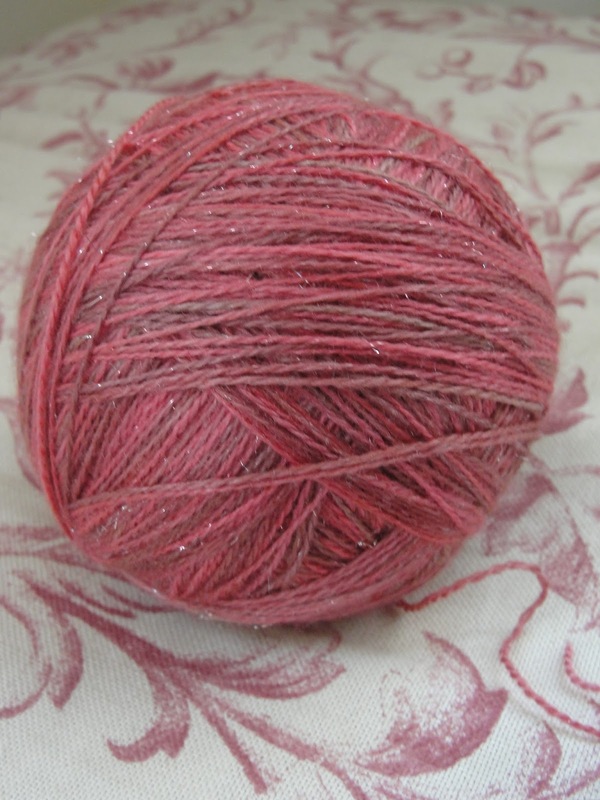 i think it might be the same yarn base as the one i'm knitting with now, but it's dyed by another dyer. i'm super happy with my choice, and i hope you are too!